California Project LEAN currently conducts various trainings using its Toolkits and/or Parent Lesson Plans. These materials are made available through the trainings. For more information please consult our Training and Technical Assistance Catalog or by calling Katherine Hawksworth, MPH, CHES, Program Manager at (925) 708-7027. 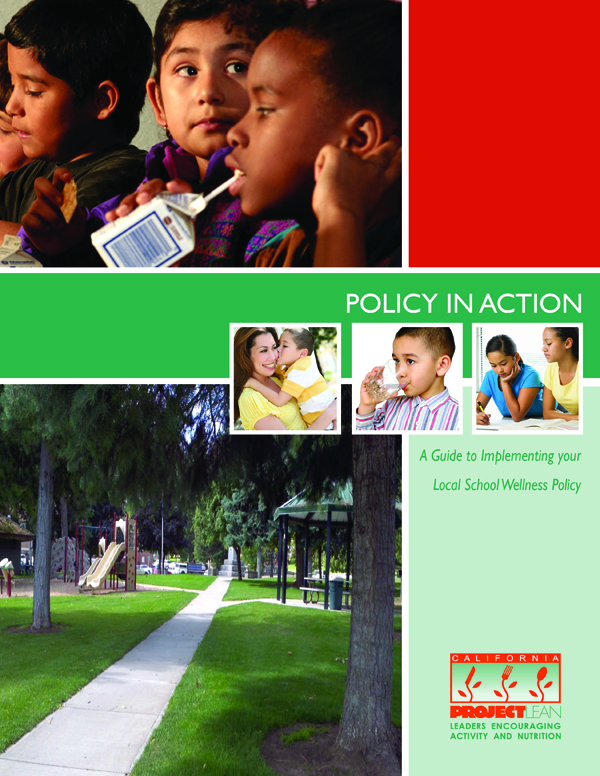 This toolkit provides resources and tools that will help school stakeholders engage parents in Local School Wellness Policy (LSWP) implementation, monitoring, and evaluation. Parents in Action! provides stakeholders with a process for engaging parents in advocating for the improvement of the school environment and increased healthy food and physical activity opportunities through the LSWP. The toolkit provides strategies for reaching parents, resources for assessing the school environment, fact sheets on relevant school nutrition and physical activity topics, parent education resources, and resources that will assist with the advocacy process. Also available in Spanish. The Parent Lesson Plans are a companion piece to Parents in Action! 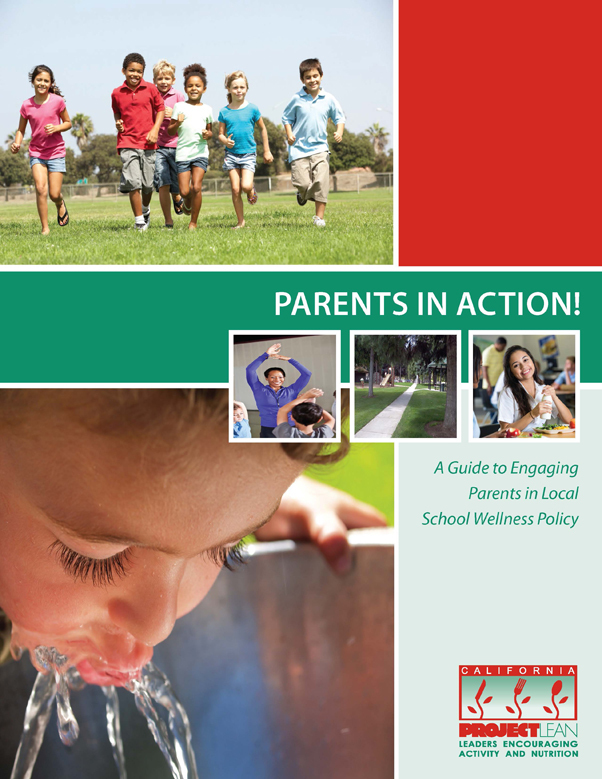 : A Guide to Engaging Parents in Local School Wellness Policy. These lesson plans are for use by stakeholders working with parents and should be used in coordination with Parents in Action! 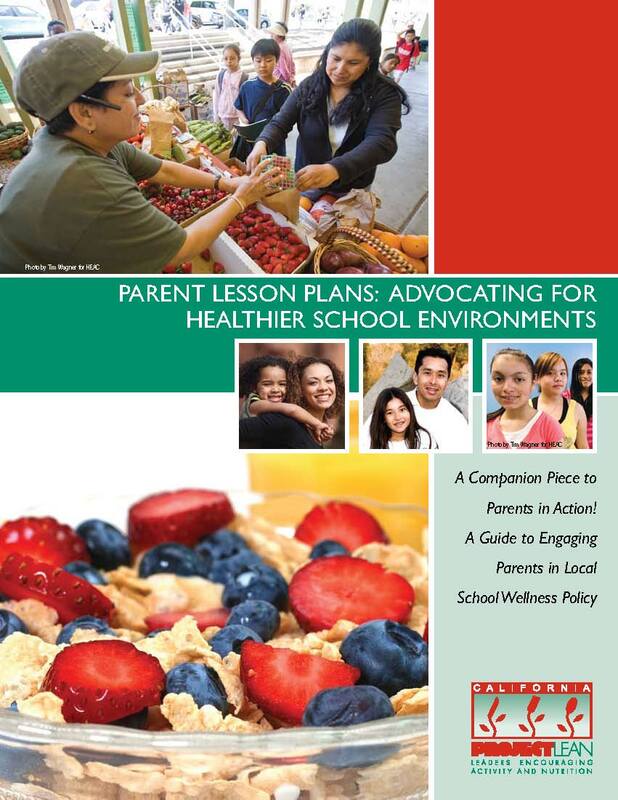 These lesson plans will assist stakeholders to educate parents about local school wellness policy and empower them to become advocates for improved nutrition and physical activity environments in their child's school. Also available in Spanish. This user-friendly guide is designed to serve as a roadmap for implementing school nutrition and physical activity policies, including local wellness policies. Includes helpful hand-outs to develop your plan of action for implementing your policy. Also available in Spanish. The school food and physical activity environment plays a large role in the foods students eat and the amount of physical activity they engage in. An important step to help youth eat better and increase their physical activity is to improve the food and physical activity environment in their schools. These fact sheets will provide you with and overview of school food and physical activity policy challenges and opportunities. Let's Move California, After School nutrition and physical activity tips sheets for program directors and site coordinators. These research and policy briefs provide a quick, easy-to-use reference for high profile subjects in the school nutrition/physical activity environment. These resources identify the perceptions, barriers, and opportunities among School Board Members, State School Boards Associations, School Wellness Advocates, State Public Health Nutrition Directors, and Superintendents.